When trying to lose weight it’s important to have the right tools and strategies in order to make sure your weight loss journey is a successful one. Top Australian nutritionist Susie Burrell has revealed that she believes looking at long-term goals and behaviour patterns are the best way to ensure this success. To help you make 2018 your healthiest year yet, Burrell has revealed to the Daily Mail’s FEMAIL her top five tips for creating better long-term habits and achieving your weight-loss goals – for good. Burrell suggests keeping yourself accountable and having an awareness of how much you’re eating and how often you’re moving. “Being mindful of our day-to-day food and activity habits and incremental changes in body size is a crucial aspect of long-term weight control,” she told FEMAIL. She also added that banishing scales from your home isn’t necessarily the best idea. While most of us believe in order to lose weight we need to cut out everything unhealthy, Burrell explains that this method doesn’t lend itself to long-term success. 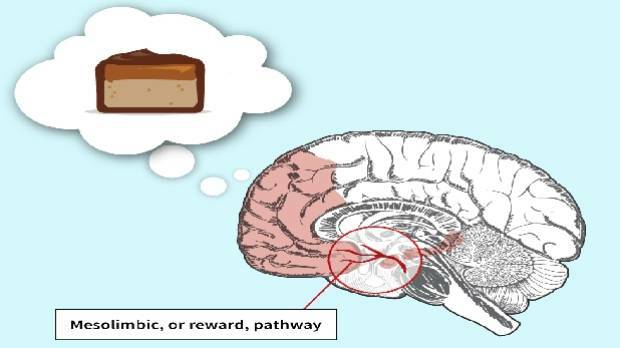 Firstly, people are hardwired to enjoy eating treats and food that tastes good. Restricting certain items can encourage binge eating. The second reason stems from a psychological point: Restriction impacts blood glucose regulation, which can cause cravings for the very foods we’re trying to avoid. Keeping treats out of your home altogether is the best way to avoid indulging your naughty cravings. Burrell explains: “If we can see the lollies, we will eat double the amount we would if we could not see them. “Planning is the key to dietary success,” Burrell says. She also adds that falling into the trap of eating whatever is most convenient is detrimental, both long and short-term. In order to avoid this, Burrell suggests having a supply of foods with you in order to make sure your food choices align with your long-term health goals. Before you go ahead and give yourself a pat on the back for having a healthy work week – and turning a blind eye to a treat-filled weekend – Burrell says aiming to be “good” all the time is better than aiming for a “good” week or day. “It does not matter if it is Christmas, a birthday or if they have been ‘good’ in the week, individuals who control their weight keep their basic dietary intake consistent,” she states. She added: “Just as exercise consistency is the key to success so too is dietary consistency. The diet is dead. But is the ‘wellness’ movement and ‘clean eating’ trend any better for us? Is ‘clean eating’ simply dieting dressed up as ‘wellness’? Diets don’t work. If they did, there would be a lot more skinny people walking around – as many as there are fad diets. And if you’ve been thinking about eliminating sugar or gluten or dairy, don’t bother. Although it might look great on Instagram and may have worked wonders for a friend of yours, “clean eating” is just dieting dressed up as “wellness”. True wellness doesn’t entail depriving yourself of things you love. You won’t lose weight or be any healthier if you drastically restrict the amount you eat or cut out whole food groups. Of course, focusing all your energy on not eating is a waste of your time on Earth. But if you really want to lose weight, there are better strategies than going on a diet. Diets, which rely on willpower, will always fail in the long run. For now, let me explain that dieting is dead. Clean eating, although popular, needs to die, too. And the answer to eating healthily is not to be found in the new superfoods section of your supermarket. In 2015, Professor Traci Mann published a summary of more than two decades of research on dieting from her Health and Eating Laboratory at the University of Minnesota. In Secrets From The Eating Lab, she identifies why so many people constantly try dieting and fail. It’s because nobody has enough willpower. So diets, which rely on willpower, will always fail in the long run. In fact, they may even make you fatter. 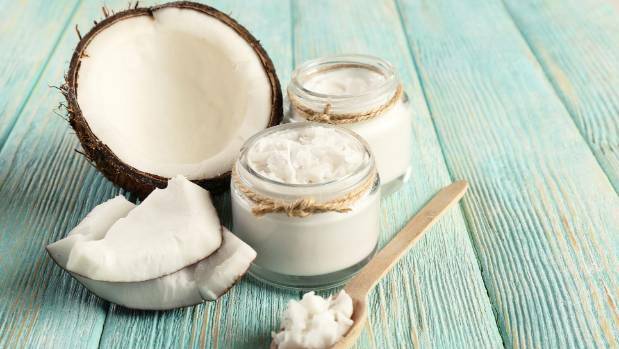 Coconut oil has been touted as “healthy”, but it’s still oil. Despite the New Year’s resolutions you make, your body already has its heart set on an ideal weight. 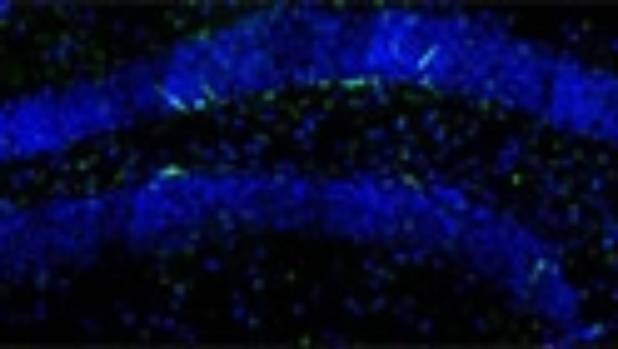 In The New York Times, neuroscientist Sandra Aamodt explained that this “set point” is “determined by genes and life experience”. If you suddenly start to lose a lot of weight, your brain’s weight-regulation system will coordinate a neurological, hormonal and metabolic response designed to protect you from starving. 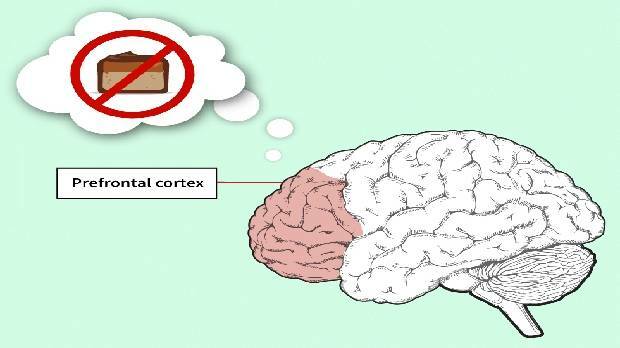 On a diet, your brain is more likely to notice food, which will seem more tempting and eating will seem more rewarding. Your hormone levels change so that you feel even hungrier and less full, and your metabolism slows so your body stores more fat. Professor Mann says that in the first six to 12 months of a diet, even a crazy diet, most people can lose about 10 per cent of their weight. And they’ll think this means the diet works. In the long term, though, most will regain the weight. But rather than blaming the diet, they’ll blame themselves. Mann estimates that about 5 per cent of dieters do manage to keep weight off – by devoting their entire life to living like a starving person. 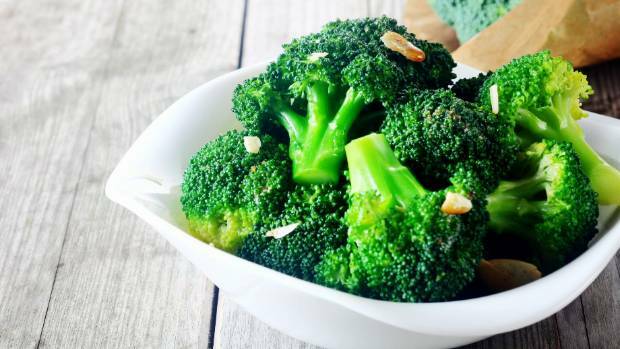 Dietitian Jessica Moulds says inexpensive vegetables, such as broccoli, are just as nutritious as pricey “superfoods”. In light of these facts, the diet industry looks increasingly silly at best, and wilfully misleading at worst. Of course, there are myriad wacky diet pills, cleanses and teas that use caffeine or laxatives to mess with your body’s normal processes. But you don’t have to venture into the fringes of a Facebook banner ad to be conned. To walk through the average supermarket is to be assailed by a bewildering number of health claims. There are “low-fat” yoghurts that have as much sugar as ice cream and “iron man food” cereals with as much sodium as a packet of chips. There are expensive “alternatives” like Himalayan pink salt (mined in Pakistan) and agave syrup, which, because they have negligible trace elements of minerals or vitamins, we are seemingly expected to regard as health foods. There’s coconut oil, which is still oil and will still raise your cholesterol if you have too much of it. And coconut sugar, which is still sugar, and therefore something to be minimised. In the next five years, the global market for food intolerance products is expected to grow by 7 per cent. This could be because foods labelled “free from”, intended for those with allergies, are often assumed to be healthier, when that’s not necessarily the case. Look at almond milk, which is about 2 per cent almonds and 98 per cent water. And coconut yoghurt, which is great if you’re lactose intolerant, but high in saturated fat and low in protein, with little to no calcium to promote healthy bones. And don’t get me started on the new health foods section in my local New World. Here you can buy a cacao mint bliss ball that contains 24g per 100g of sugar (the recommended maximum daily intake for 7 to 10-year-olds) and costs $2.99. For one measly bliss ball. Turmeric is suddenly everywhere, it’s healthfulness suggested rather than claimed, since the pigment in turmeric that has widely touted anti-inflammatory and antioxidant properties (cucurmin) is very poorly absorbed and rapidly eliminated. The cumulative effect of all these bogus health claims can be mind-boggling. Researching this story one night, I read about the alkaline diet (invented by a convicted fraud, espoused by actress Kate Hudson) which stipulates that, because our blood’s pH level is slightly alkaline, we should eat foods that are alkaline, or risk making our bodies too acidic. This theory neglects to account for the fact that everything we eat goes through the stomach, which is highly acidic. Dietitian Jessica Moulds stresses that eating well doesn’t have to be expensive. I laughed at this and even read parts out loud to my family. But the next morning in the supermarket, I caught myself hovering on impulse over some “low acid” tomatoes. Hadn’t I read somewhere that low acid was good for you? It’s not just food marketers who are leading us up the garden path. We’re easily swayed by Instagram posts of rainbow-coloured salad bowls and smoothies. Rather than taking advice from dieticians with degrees, we would rather hear some influencer’s personal story of redemption through “clean eating”. Clearly there is something deeply seductive about clean eating, with its 35 million boring Instagram posts and its promise of freedom from allergens and unspecified toxins. I wonder if we’re suggestible because we’re confused and anxious about where our food comes from and what might be in it. Deep down, we’re scared our food is making us sick. As a population, there is some basis for this. In the last half-century, portion sizes have become bigger and the Western diet has become more sugary, salty, fatty and oily, with more meat and fewer vegetables. Diabetes, obesity and heart disease are on the rise. Parts of the clean eating message – to side-step dangerously moreish, highly processed foods and eat more vegetables – make perfect sense. But it’s not just our food that’s making us sick. Aro-Hā retreat near Glenorchy is part of the fast-growing wellness tourism industry, for which Asia-Pacific is a hot destination. It’s everything. The stressors of technology, social media, increased working hours, and even threats such as global warming and terrorism combine to cause insomnia, anxiety and a longing for peace of mind. The forces that made clean eating popular are also behind a large-scale interest in wellness, in all its guises. Don’t get me wrong: people still care about looking their best. But punishing gym workouts and counting calories are beginning to feel a bit quaint and 80s. Life is punishing enough. These days, we want to do things that make us feel calm, grounded, and nourished, not starved. Wellness practices that were once considered a bit fringe and hippie – yoga, meditation, organic food, natural skincare – have entered the mainstream, becoming billowing billion dollar industries, with glamorous connotations and selling power. In New Zealand, yoga has exploded, growing by 500 per cent in the last 10 years. Although it’s often associated with wealthy young white women, yoga is actually popular across all socioeconomic backgrounds, performed by nearly 30,000 of our 65 to 74-year-olds, and even embraced by the All Blacks. Alongside yoga, meditation is growing, too. In the past five years, several peer-reviewed medical journals have published studies concluding that mindfulness meditation has a demonstrable effect on anxiety, depression, stress and burnout. In the US, Google, Goldman Sachs and Bank of America offer mindfulness training to employees, as does Air New Zealand and Wellington City Council. Wellness tourism is growing nearly 50 per cent faster than global tourism. 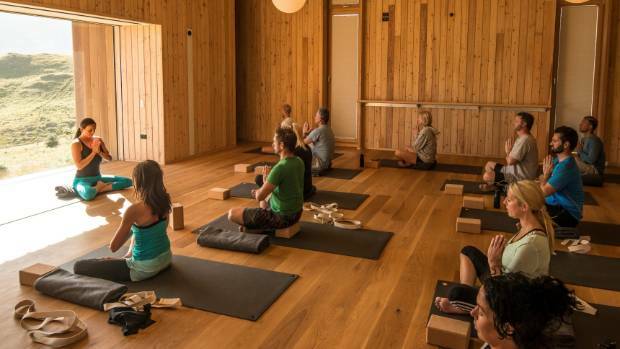 Asia-Pacific is now the world’s second-largest market, and Tourism New Zealand says high-end retreats offering yoga, Pilates and meditation alongside the usual spas and massages have become primary destinations. 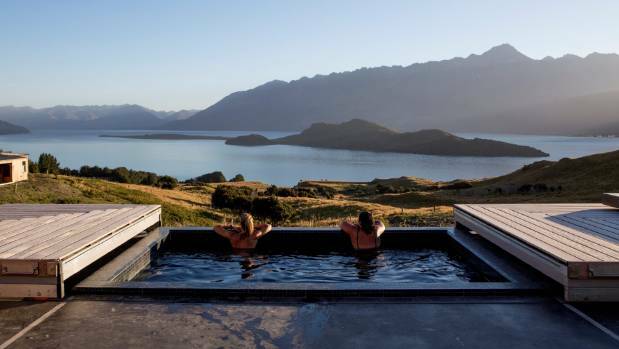 Aro-Hā, a wellness retreat near Glenorchy, offers five nights in “Zen-inspired luxury”, hiking, doing yoga and meditation, getting massages, and eating “Paleo friendly, gluten free, dairy free, and enzymatically active” vegetarian food, for $5575 per person. And Te Aroha now has Te Atawhai, a new retreat where you can enjoy four days of wellness activities (including a tour of Hobbiton!) for $2200. In the beauty industry, which has long relied on synthetic ingredients, natural skincare brands now outsell traditional products by two or three times, and New Zealand entrepreneurs are among the vanguard. 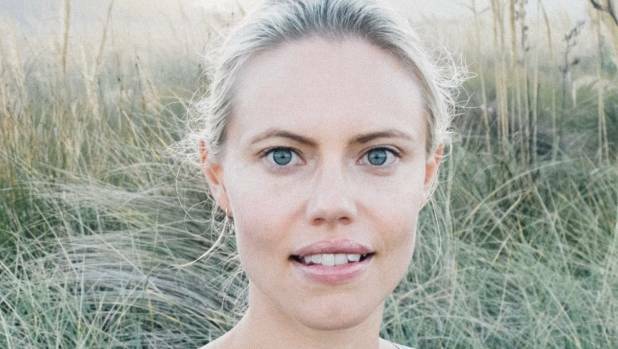 Nearly 10 years ago, New Zealander Imelda Burke opened one of London’s first natural skincare shops, Content Beauty, and last year published a book explaining her holistic take on skincare: tuning in to your skin’s needs, simplifying your routine and letting your body find its own balance. In New Zealand, yoga has grown in popularity by 500 per cent in the past decade. In publicity for a scent she created for a designer fashion label, L’Ami describes her morning routine – misting with a calming spray, drinking apple cider vinegar, meditating. Typical wellness stuff. But she also describes how the rationale for these rituals also helped her to reshape her career, and gave her life a sense of purpose. When she decided to “start following what felt good, no matter how big or small”, she slowly began to feel happier and more confident, which flowed into her business. It’s a good example of wellness “mission creep” – how easily a bit of yoga can turn into a liking for meditation, which can deepen into a whole new way of thinking about your life, your career, your relationships and everything in between. Last year, business news site Quartz argued that, in America, the wellness industry now amounts to an “alternative health-care system” – built by privileged women and riven with dubious claims, but worth taking seriously as “a direct response to a mainstream medical establishment that frequently dismisses and dehumanises women”. 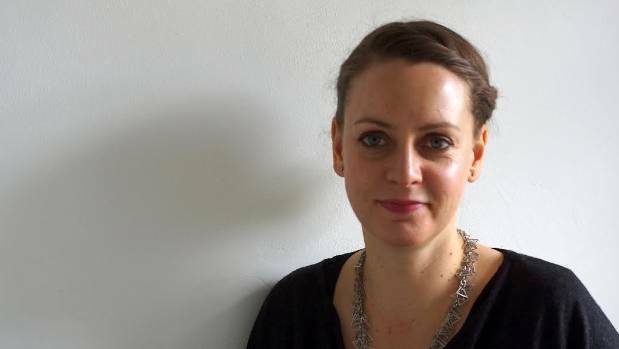 New Zealander Imelda Burke opened one of London’s first natural skincare shops, Content Beauty, nearly 10 years ago. Bridget Delaney, a Guardian writer who investigated wellness in her 2017 book Wellmania, sees it as a replacement for traditional religion. “The wellness industry… has found a way of monetising elements of spiritual practice from a variety of different traditions,” she writes. Whether you see wellness as alternative medicine, a secular religion, or just today’s answer to the tennis and bridge my grandmother played with her besties, it’s clear that it has the economic potential to revitalise any market. Its core principles of self-care and mindfulness, of shutting out distractions and tuning in to what feels good, can be applied to almost anything – even eating. 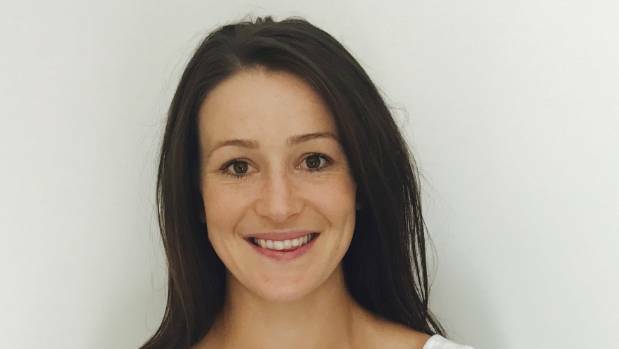 Nicola Jackson, a registered nutritionist, says relying on a set of food ‘rules’ might sell books, but it also generates fear. Nicola Jackson suggests anyone habituated to following diets looks into something called “intuitive eating”. Connected to mindfulness, this involves giving up the dieting mindset and learning to tune back into your body’s hunger, fullness and satisfaction cues. “Some people feel that if they don’t have rules, they’ll just eat everything and anything, but ironically, it’s often trying to control food with rules that leads to feeling out of control,” she says. And while brands such as New Zealand’s own Lonely lingerie are building successful campaigns around body-positive messages, you don’t have to “love your body” either. Just try to accept it and treat it well. 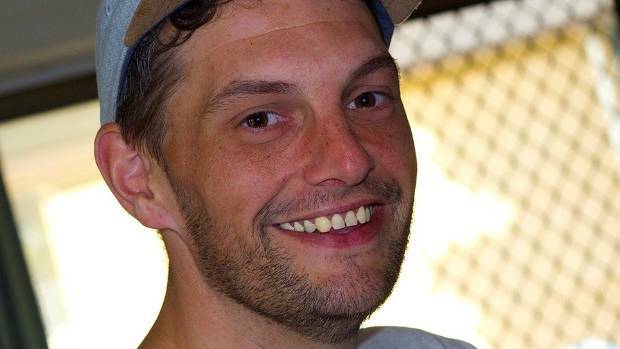 Shane Gosnell lost 60kg over two years without dieting. Besides, it’s quite common to make healthy changes and feel better without losing weight. In Studies from the Eating Lab, Professor Mann notes that young women’s diaries from the 1890s tended to fret about things like being kinder, working harder, being less frivolous. A century later, our thoughts are consumed with how to look better and what we can buy to accomplish it. Opting out of this mindset doesn’t mean letting yourself go, Mann writes. Lonely markets its lingerie with normal-looking women – including Girls creator Lena Dunham, left, and actor Jemima Kirk. The “raw water” movementromanticises the idea of drinking water that contains the things they say nature intended without the chemicals, such as chlorine, often used in urban water treatment processes. In some areas of America, especially the West Coast, it has become a high-dollar commodity – water captured in glass bottles and sold straight to you. But by shunning recommended water safety practices, experts warn, raw water purveyors may also be selling things you don’t want to drink – dangerous bacteria, viruses and parasites that can make you sick. * Carbonated water: Is it healthy to drink? * Are all soda waters the same? “We’re glad people are so interested in water quality and the value they’re placing in safe water,” said Vince Hill, who heads the Waterborne Disease Prevention Branch at the US’s Centers for Disease Control and Prevention. Where water comes from, how its treated and what it’s bottled in, has long been the subject of heated debates. Could demineralised water be bad for you in some circumstances? What about using plastic bottles? And, of course, do some water systems have dangerous levels of lead? Many communities reject adding fluoride to drinking water, even though it strengthens teeth and is safe at low doses. Michelle Francl, who chairs the chemistry department at Bryn Mawr College in Pennsylvania, said truly raw water, which is simply hydrogen and oxygen, is fine to drink – as long as it’s clean. The trend shuns treated drinking water, which experts say isn’t a good idea. That’s why, experts say, it’s imperative to know what exactly you’re putting into your body. The cleanliness of the water, they say, depends on things you can’t see – like whether herds of elk or moose or caribou have relieved themselves in a stream that you’re drinking from and left it full of parasites. Or whether there has been groundwater contamination from naturally occurring elements such as arsenic, radon or uranium, or from agricultural pesticides, herbicides and other chemicals. But all in all, “we have an incredibly safe and reliable water supply” in the United States, said David Jones, professor of history of medicine at Harvard Medical School. US law requires the Environmental Protection Agency to put in place certain standards to ensure that tap water is safe to drink. The US’s Food and Drug Administration regulates water that is bottled and sold to consumers. But raw water is really up to you. Experts say raw water may contain minerals, but you can get the minerals you need from a healthy diet – and the risk of harmful bacteria, viruses and parasites is not worth any benefit from trace minerals. Until a couple centuries ago, waterborne illnesses were much more common – before people knew to or were able to separate sewage from drinking water. Jones, at Harvard Medical School, said in the late 19th century in response to epidemics of cholera, a bacterial disease that spreads in water, cities made massive investments in water treatment processes, including sand filtration. “These kinds of changes are likely largely responsible for huge improvements in human life expectancy,” Jones said. He added that life expectancy increased by some 30 years from 1900 to 1970. “Clean water has made such a difference in people’s life expediencies in the United States and other industrialised countries, so I can’t imagine why you would want to drink water that wasn’t and thereby endanger your health,” Francl said. Doug Evans, who said he subsists on an organic, plant-based diet, said he has been drinking raw water for nearly two decades now. Evans, an entrepreneur who founded the now-defunct juicing company Juicero, said that when he can’t get his own water, he buys it from Live Water, a raw water business based in Oregon. The company claims on its website that “all other bottled, filtered, tap, and even spring waters are sterilised with ozone gas, irradiated with UV light, and passed through a submicron filter” and that “blasting water with ozone changes its molecular structure”. Francl, the chemist, said ozone gas is used to remove bacteria and other things from water and then the ozonised contaminants are strained out, leaving clean water. She also said that ozone does not change the molecular structure of water, as Live Water claims; if it did, the liquid would no longer be considered water. “You want to drink tap water, drink tap water. You want to go buy water that’s been filtered and put in a plastic bottle, I think that has environmental consequences, but I’m not going to protest,” he said. Nutritionists have expressed concern over a dangerous new fad diet which bans everything but water, tea and coffee. Water Fasting involves trying to lose weight by eating no food and only taking in the three beverages. The trend has become popular on social media with thousands of people using the hashtag #waterfast to document their progress and encourage others to take part. But critics have warned it could be “the most dangerous diet ever” and said that it was taking the trend for cleansing way too far. 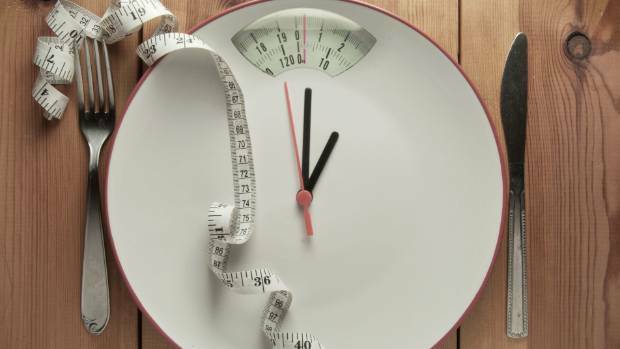 Eating disorder expert Joanne Labiner likened Water Fasting to conditions like anorexia and said it should be avoided, especially at a time of year when people are considering slimming down after Christmas. She said: “It can be so bad for your organs. That’s why people with anorexia can die of a heart attack. Their body feeds on their heart. “Our body thinks it’s an emergency and tries to prevent that fat storage from being used up, and it feeds on the muscle”. On social media site Twitter dieters claimed that the Water Fast left their skin looking “amazing”. Others said that they got the “best sleep of my life” once they started it. On Christmas Eve one dieter wrote: “Day 9 of my 21 day #waterfast and it’s going very well. Amazing results. #Weightloss 2 warts cleared up. Back acne gone. Visible abs. More mental focus”. One man claimed to have set out to do it for 47 days and, whilst he initially felt energised and focused, said he was forced to stop after 28 days. Another dieter, who lost 23kg, said that he was forced quit because he was so tired he could barely get out of bed. Yet others were still convinced it could work with one writing: “Here goes……!!! Back at it again, #waterfasting time. “Anyone who wants to join me and go threw this pleasurable pain and suffering with me is more than welcome 2 because its a lot easier when you got somebody you know who’s suffering with you lol (sic)”. Kidney specialist Dr Jason Fung, said that short-term fasting worked but only for certain patients. He suggested that water fasts were appropriate for clients who are obese or have Type 2 diabetes – but only under the supervision of a doctor. He said: “It can be done, people do them, but they have to be done safely. “I don’t think it’s the safest thing to do, but if you’re obese, it’s not the most dangerous thing, either. If you’re relatively slender, it’s more dangerous”. Dr Fung, who wrote a book called The Complete Guide to Fasting, added: “The longer you (fast) the more risks you take”. What are the hardest things about switching to a low carb, higher fat diet for the sake of weight loss and better glucose control? For the people who trialled the eating plan that forms the new Commonwealth Scientific and Industrial Research Organisation (CSIRO) low-carb diet, cutting their alcohol intake was one. 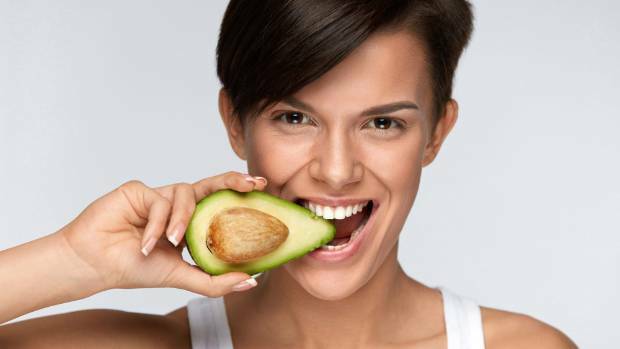 But it wasn’t just having less of something that was hard – eating more high fat foods like avocado and nuts was a big adjustment for some people, says senior research dietitian Pennie Taylor, co-author of The CSIRO Low-Carb Diet. It’s the definition of healthy fat that makes the CSIRO’s low carb higher fat approach different to low carb diets that embrace saturated fats like lard, butter, duck fat and coconut oil. Instead, the CSIRO takes a cautious approach to saturated fat and suggests keeping intake low. “We acknowledge that there’s a debate about the health effects of saturated fat. Although past evidence suggests saturated fats have a role in heart disease, more recent evidence suggests the relationship may not be so strong – but there are still questions that need to be answered,” Taylor says. But dairy fat may be an exception. “Although it’s a saturated fat, research has found that full fat dairy foods don’t increase the risk of heart disease – it may be that the package of nutrients in dairy foods as a whole is protective. Although we recommend low fat dairy products in the diet, that’s because reduced fat versions are higher in calcium than full fat dairy and we were conscious of reducing kilojoules,” she adds. Good fats, like those found in certain types of nuts, slow down the rate at which digested food leaves our stomach. So, for now, the good fats this diet promotes are mono unsaturated fats (in avocado, almonds, cashews, hazelnuts and peanuts and olive oil) and polyunsaturated fats (in oily fish, walnuts, pine nuts, pecans, Brazil nuts, sunflower and flax seeds). What makes them so good, says Taylor, is that they slow down the rate at which digested food leaves our stomach – and therefore help keep blood glucose levels steady and help control appetite improve levels of blood fats like cholesterol and triglycerides make us feel full and prevent overeating – and increase the pleasure of the meal. The rationale behind this low carb diet that combines just 50 to 70g carbohydrates daily (the equivalent of three to four and a half slices of bread) with higher intakes of protein and fat is the CSIRO’s 2012 to 2014 study comparing the effects of two diets on a group of overweight or obese people with diabetes. One group ate the low carb diet high in healthy fats; the other ate a healthy high carb, low fat diet. After 12 months of combining these diets with an exercise plan, both groups lost 10 kilograms. But there were extra benefits for the low carb group: healthier levels of blood fats, better blood glucose control and a significant reduction in diabetes medication. Still, Taylor is the first to say that there’s no one best diet for everyone and this low carb approach is designed for particular people such as those who are overweight (that’s more than 60 per cent of us), those with type 2 diabetes, people with insulin resistance – and should be combined with support from a dietitian and regular health checks. But before we all slash our carb intake, the debate about how much carbohydrate is best raises some issues, says dietitian Matt O’Neill, who recently convened a webinar Low Carb Diets – Fad or Future? with Taylor and nutrition scientist Dr Tim Crowe. One issue is that the long-term effects of following low carb, higher protein diets beyond about two years are unknown. Another is that if we could stick with healthier lifestyle habits throughout life we might not need to cut carbs so dramatically. “There’s a case for a low carb approach but it’s also a bit like a sledgehammer – yet if we’re prepared to set as a priority doing more exercise, making sure we get more sleep, reducing stress and taking a mindful approach to eating then maybe we can afford to eat more good quality carbohydrates and still manage blood sugars,” he says. The CSIRO Low-Carb Diet by Associate Professor Grant Brinkworth and Pennie Taylor is published by Macmillan RRP AU$34.95. Do you have days at work when you feel energetic, inspired and productive, while on other days you feel tired, busy and stressed, with almost nothing to show for your efforts at the end of the day? When you spend several hours a day at work, it pays to make those hours healthy ones for both body and mind. Making some simple, smart choices throughout your workday can help boost your creativity and productivity while reducing fatigue and minimising stress. Vegetables, fruit, whole grains, lean proteins and healthy fats will provide you with a steady source of energy throughout the day while offering the nutrition you need for long-term health. Many fast-food or takeout lunches contain sugar, salt, white flour and low-quality fats and proteins, which can leave you feeling bloated and sluggish now while gradually eroding your health and expanding your waistline. Vegetables, fruit, whole grains, lean proteins and healthy fats will provide you with a steady source of energy throughout the day. When you’re busy, it’s easy to push rumblings of hunger to the back burner, if you even notice them at all. When you finally come up for air midafternoon – or worse, on your way home – you realise that you’re ravenous and ready to eat whatever’s handy and filling, regardless of taste or nutrition. 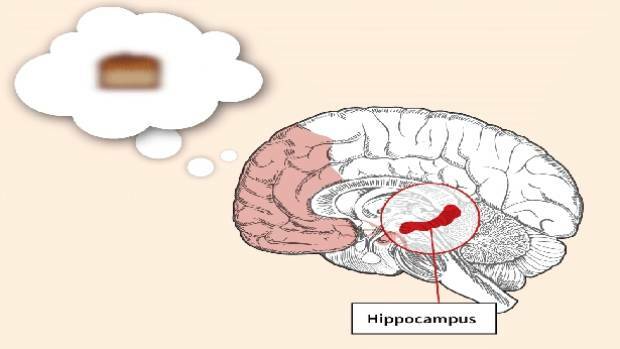 Over time, ignoring hunger cues can dim them, making it harder to figure out if you’re actually hungry even during more relaxed times. Consciously disconnecting from work in the middle of your day can give you an energy boost and make your afternoon go more smoothly. If possible, eat lunch somewhere other than your desk – preferably outside, weather permitting, where you can get a dose of sunlight and fresh air. If you must lunch at your desk, try to refrain from checking your email, doing work or talking about work. Take a few deep breaths, then eat slowly and savour your delicious, healthful meal. While the volume and composition of your meal help you feel satisfied, so do the sensory aspects of eating – taste, aroma, texture, colour and temperature. If you quickly inhale your lunch without noticing it, you deny yourself the full eating experience, which can leave you feeling like you need to nibble. If you work outside the home, you spend a huge chunk of your day in the workplace, which makes that your second most important food environment (after your home). It’s also an environment that can be unpredictable in what temptations it sends your way – especially treacherous if your job is stressful, and stress makes you want to eat. Packing your own nutritious and appealing lunch and snacks can help inoculate you against less-nutritious offerings from the vending machine or co-workers. If you buy your lunch, placing your order in advance instead of waiting until you are already hungry can make it easier to make a healthful choice. Even minor dehydration can cause headaches and make you feel tired and unable to concentrate, which isn’t good for your productivity or your well-being. As there are no hard-and-fast rules about how much to drink, it’s best to let thirst be your guide. In the habit of ignoring thirst? Aim to drink at least six to eight eight-ounce glasses of water a day, more on days you exercise. One way to tell: If your urine is clear or very light, you’re probably doing just fine. Our bodies are meant to move frequently, and that includes more than just planned exercise. If you sit at a desk all day, make a point to move at least every hour. Get up to fill your water glass, go talk to co-workers instead of emailing them, do a few stretches right at your desk, or step outside to take a short rejuvenating walk. Deep breathing is your body’s built-in energiser and stress reliever. Simply taking a few deep breaths can help you feel calmer, but if you have more time, sit and focus on your breathing for a few minutes. Try this at least a few times during the day to relax and recharge, more often if you notice you’re feeling stressed or tense. ​You may think you’re being super productive, but you’re not. Studies show that multitasking wastes more time than it saves. 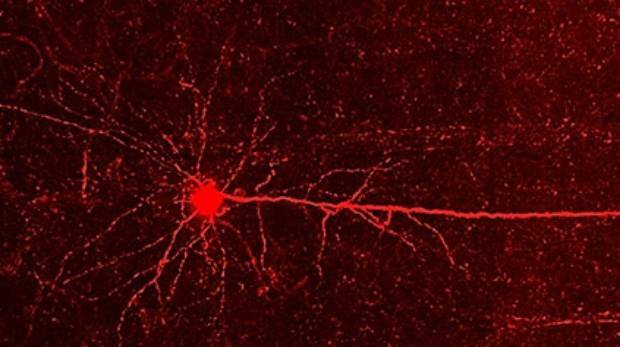 Even worse, it reduces our brain function over time. When you allow yourself to focus on a task or project without distractions (email, social media, open browser windows), you’ll complete it better and faster – and then have the satisfaction of checking it off your to-do list. Establishing at least some degree of balance in your universe is important to help you function at your best at work and home. Allowing work to bleed into your off-the-clock hours on a regular basis will ultimately make your performance suffer in both spheres. It’s important for your health and well-being to spend quality time with friends and family, as well as quality personal time to exercise, prepare nourishing meals and simply relax. Your body is made in the kitchen, so the saying goes. But what of working out? Our sedentary lifestyles are considered largely responsible for the obesity epidemic. Physical activity is also prescribed as part of many weight loss programmes. We know how good exercise is for our health: it reduces the risk of heart disease, diabetes, and cancer as well as improving mental health and mood. But weight? Well, exercise is useless for weight loss, a growing body of research shows. One new study followed young adults, tracking their activity over the course of two years. At the end of the study, the researchers found that those who met the physical activity guidelines of two and a half hours of moderate exercise (eg brisk walking), had gained more weight than those who hadn’t. “Our study results indicate that physical activity may not protect you from gaining weight,” said lead author Lara Dugas of the Loyola University Chicago Stritch School of Medicine. 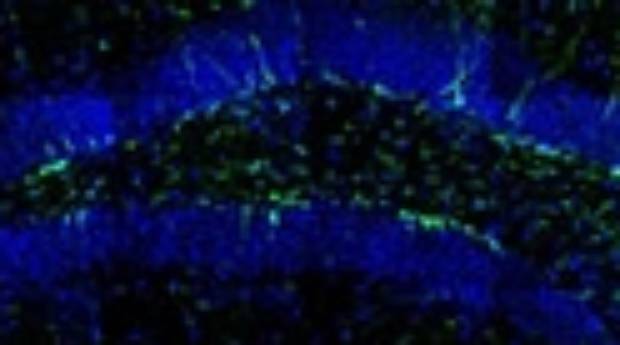 A separate new study, of mice on running wheels, found that their energy expenditure plateaued at a certain point and did not increase even when the intensity of exercise was upped. “Together, our experiments support a model in which the transition from sedentary to light activity is associated with an increase in daily energy expenditure, but further increases in physical activity produce diminishingly small increments in daily energy expenditure,” the paper’s authors said. It doesn’t make much common sense. Surely we work harder, we burn more, we lose more weight, right? “Although there are hardly any long-term trials, exercise alone seems to have limited potential for rapid weight loss in the short-term,” says Associate Professor Emmanuel Stamatakis of the University of Sydney’s Charles Perkins Centre. “The main issue here is that for rapid weight loss there is a need to create a substantially large negative energy balance (more calories burned than calories taken in). There is also a difference between “physical activity” and “exercise training”, Gordon Fisher, an assistant professor of kinesiology at the University of Alabama at Birmingham, has pointed out. But we tend to overestimate how much energy we’re burning when we work out anyway, Alexxai Kravitz, a neuroscientist and obesity researcher at the National Institutes of Health, told Vox. “In reality, it’s only around 10 to 30 per cent [of total energy expenditure] depending on the person (and excluding professional athletes that work out as a job),” he said. 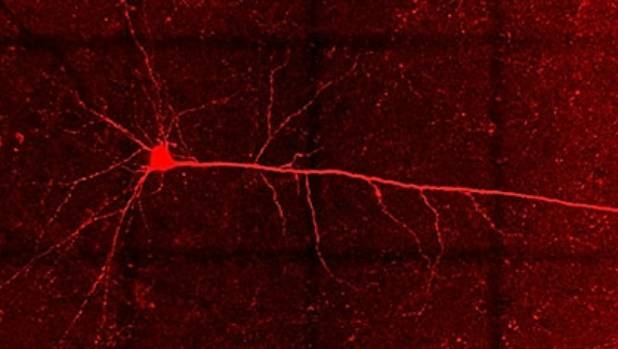 More likely, if we want results, it’s not looking at just diet or just exercise, but being aware that the two are “a dynamic and adaptable system” that feed off each other. Regardless of its impact on weight however, Stamatakis reminds that we were born to move for a reason and we suffer when we don’t. “Before we rush to dismiss exercise as part of the solution to the obesity epidemic, we should not forget that physical inactivity causes twice as many premature deaths compared to obesity,” he says. “Yet, the focus is on obesity but there is hardly any serious discussion about solving the ‘inactivity epidemic’. “Besides, a physically active lifestyle is linked to preventing over 40 physical and mental health chronic conditions as well improved wellbeing and independence into older age. Gluten-free foods have become commonplace in grocery stores, restaurants and cookbooks. For those who suffer from celiac disease, this is a huge win, because there are now so many options to choose from. And for those who feel extraordinary benefits from decreasing gluten because of non-celiac gluten sensitivity, inflammation or their own personal nutrition journey, living a gluten-free life is quite doable. On the flip side, gluten-free living has become quite the trend. People are unnecessarily cutting out a lot of foods from their diet, spending a lot of money on other foods, living in extreme ways and potentially causing more harm than good. If you are trying to lose weight, going gluten-free may not be necessary, but rather avoiding processed carbohydrates and sweets. * Which is the best gluten-free bread brand? Avoiding gluten is not necessarily a guarantee of improved health. Gluten is what makes food have great texture, bounce and fluffiness. Have you tasted some of the gluten-free breads out there? Not so fluffy. When food manufacturers remove the gluten, they usually have to add a lot of ingredients and fillers – all gluten-free, mind you – to make the food tasty. Are you truly feeling better? You may convince yourself that the gluten-free diet is making you feel better, but in fact you still have the symptoms of inflammation. Take some time to examine how your body feels. When you notice you are having symptoms – whether it be headaches, digestive issues, joint pain, a skin rash or inflammation, start monitoring when you have that symptom and the degree of severity. If you pay attention, you can feel confident that the effort you are putting into improving your health is working. Many people go gluten-free and are convinced it’s the best plan for them because they lose weight, gain energy and feel better. Was eliminating gluten truly the catalyst to improved health? Or was it cutting out a lot of sources of processed wheat, such as cookies, bread, crackers, cereal, pastries and more? A gluten-free diet and a low-carb diet are two very different things. I encourage you to understand why you are doing what you are doing and make decisions based on that. If you are trying to lose weight, going gluten-free may not be necessary, but avoiding processed carbohydrates and sweets, and increasing your vegetables, proteins and plant fats may be the best choice. If you are going gluten-free simply to give yourself motivation to avoid all bread and cookies and crackers, that’s fine… as long as you don’t fall into Mistake #1, where you start buying gluten-free breads and cookies that may be calorically and nutritionally worse than the gluten-rich product. If you want to follow a low-carb diet, you do not have to go gluten-free. Again, ask yourself: Why are you doing what you’re doing? Jae Berman is a registered dietitian, a personal trainer and owner of Jae Berman Nutrition. Get fit in 10 minutes! If you have a sweet tooth or love fatty, carb-heavy meals, you’ll know the reward of eating them is more than just in your stomach. It sends endorphins through your brain, even just for a moment, telling you how enjoyable the experience of eating these foods is. Now, there’s an app that can change that. 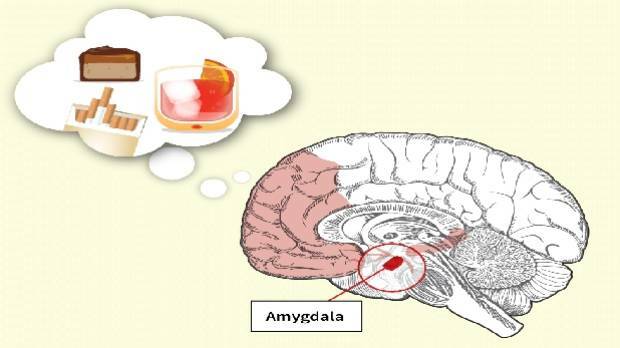 Scientific research has shown that fatty and sugary foods activate the brain’s reward system, stimulating the release of the chemical dopamine (which makes you feel pleasure). The Food Trainer app, developed by the University of Exeter and available in New Zealand on Google Play (for Android only) store, trains your brain in 10 minutes a day to avoid unhealthy foods. Essentially, the app is a simple game: pictures of healthy and unhealthy foods pop up on your smartphone screen, and you’re tasked to react only to the healthy images. Professor Natalia Lawrence, a psychologist who worked on the app’s development, says this can re-train the brain to crave differently. There is empirical evidence to suggest the app actually works, too. University of Exeter studied 83 people playing the game for 10 minutes a day, four times a week, and each averaged to reduce their diet by 220 calories per day without any other intervention. That’s more than a Crunchie bar or a small packet of Maltesers. The scientists are currently running a crowdfunding campaign to get the app developed for iPhone users as well. CHANCES are you are keen to drop a little of the Christmas pud this New Year (and as quickly as possible). While there are many diets out there, the basics never change. So here are the easiest and most effective ways to kick start your diet this January. You will get the best weight loss results when you are able to follow a relatively strict regimen for a set period of time. This means at least 3-5 days without any extras rather than reverting to the “I have been good all day, so I deserve a treat at night trick”. The reason for this is that it takes several days of tight calorie control to induce fat loss which can be easily disrupted when little extras slip in every day. A recent review completed by physicians at the Mayo clinic has confirmed what many of us have known for some time — when it comes to quick weight loss, cutting your carbs is the way to go. Not forever, but to get results initially and even for a period of 3-6 months, going easy on the pasta, rice, bread and potatoes does have its merits. And even better, you do not need to cut the carbs out entirely, a serve or two of fruit, lower carb bread or legumes a couple of times a day, along with an evening meal minus the potato, rice and pasta is all you need to do for a couple of weeks for a weight loss kick start. The more vegetables and salad we consume, the better it is for weight loss and a simple and effective dietary strategy is to simply replace one meal a day with soup, salad or vegetables. Try a large salad for lunch, or swap dinner for a soup or plain vegetables. This simple strategy will significantly reduce your calorie intake for the day while you are still consuming three meals each day. Most of us walk around dehydrated which can be one of the reasons we feel tired, lethargic and hungry. Drinking at least two litres of still or sparking water every day is a simple way to help manage your appetite and reduce the total amount of food you are eating. Generally speaking we eat dinner much later than is ideal and for this reason, the later you have your evening meal, the lighter it should be. So if you are eating after 7pm or 8pm each night think omelets, soups, white fish and vegetables and salad. The more calories you consume during the first 12 hours of the day the better it is for the hormones that control fat metabolism. This means breakfast by 8am, lunch by 1pm and dinner by 7pm to help allow 10-12 hours without food overnight. Hunger is a sign your body is burning food efficiently and when we are in control of our calorie intake we should feel hungry every 3-4 hours. At times when you are trying to lose weight, ignoring extreme hunger may result in you consuming too few calories to efficiently burn body fat. For this reason if you genuinely feel hungry in between your meals, add in a small protein rich snack such as a handful of nuts, a slice of cheese or some Greek yoghurt to help the calorie burn. When we team a low calorie diet with a lot of high intensity exercise the result can be a large calorie deficit between how much we are burning and how many calories we are eating. Too much of a deficit can slow down weight loss which is why plenty of movement when you are not eating a lot can trump exercise. This means lots of steps, at least 10000-12000 every single day. Diets fail because they are not sustainable; we do not like what we are eating and we miss the foods we love. Simply factoring in regular portion controlled treats at least every second day is an easy way to help support dietary compliance. Good options include a small bite size chocolate, a small coffee, a glass of wine or a restaurant meal out once a week. Planning is the key to dietary success — knowing what you are going to eat in advance so you are not tempted when high calorie foods cross your path. This means taking time out to order groceries online or to get to the shops; pack your lunch the night before and know what you are having for dinner before someone suggests take away. This way you remain in control of your food decisions rather than becoming a victim of your food environment.